Impulse in wave 5 continues. We may assume that on the minor wave level the fourth wave was completed and the fifth wave started. The forecast of the price movement is still bearish. 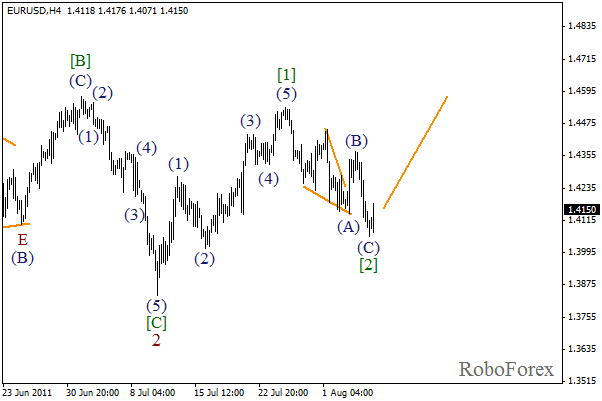 In the near term we can expect the formation of wave (3). 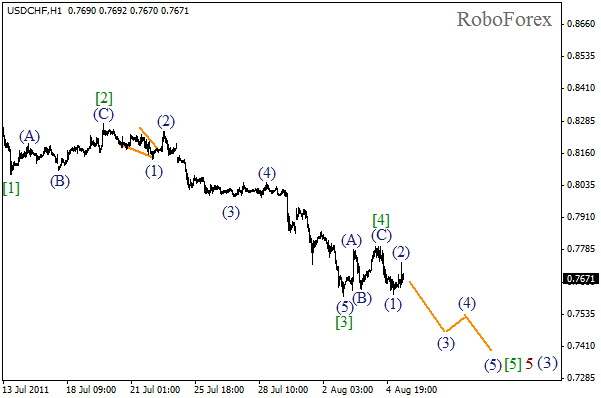 At the H1 chart we can see that initial impulse in wave  has been completed, and currently wave (2) is being formed. 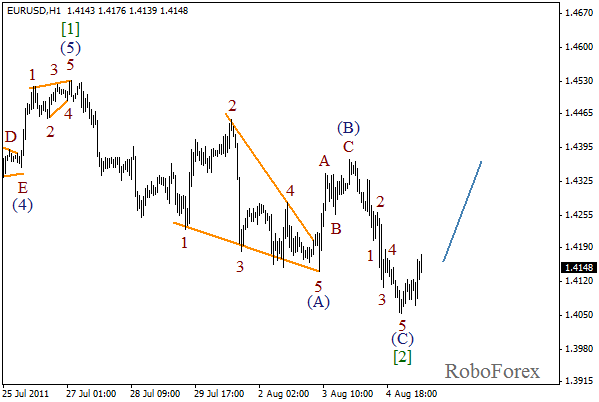 Most likely, after the local correction is finished, bearish wave (3) of  will start. Yesterday the price reached new minimum once again, so the correction continues. 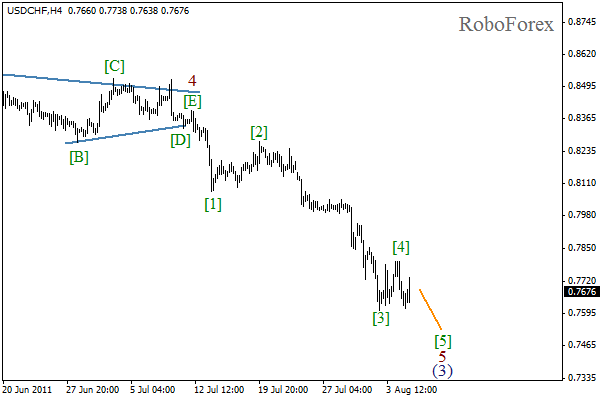 Wave  is still in the form of zigzag pattern, but wave (A) is now a wedge pattern, and wave (C) is a usual impulse. The forecast remains bullish. In the near term, we can expect the price to start growing inside the third wave. It looks like the internal structure of wave  is completed. Most likely, initial waves inside the third wave are being formed at the moment. If the price breaks the maximum of wave (B), we will say for sure - wave  will start.